Would you like to pilot your own plane with no other restriction than your own desire? With Cirrus it is easy and very cheap. 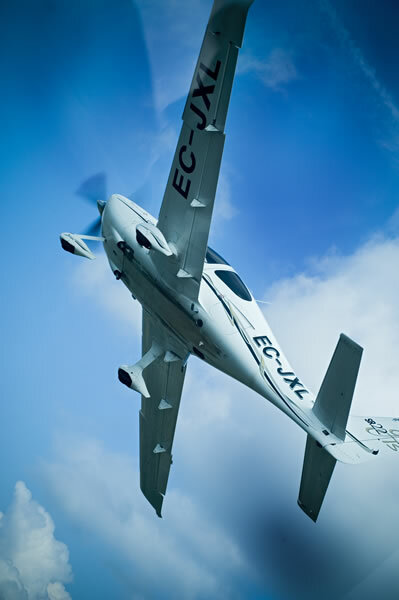 Soko Aviation is the exclusive distributor of Cirrus aircraft in Spain. Cirrus light aircraft are unique thanks to their parachute system, that makes them the safest aircraft in the world. They are lastest-generation planes with the same safety equipment as a light jet - Something like flying a sports car. We would be delighted to perform a demo flight with you. 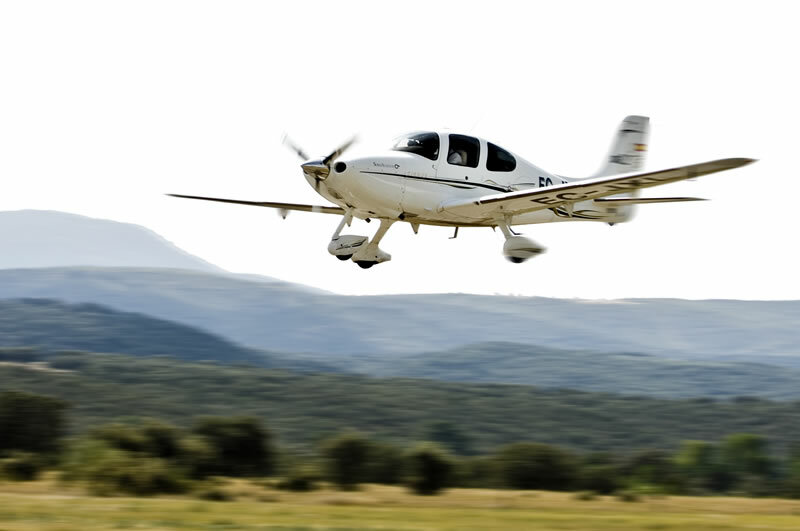 In Spain, we commercialize two models of Cirrus aircraft: the Cirrus SR 20 and Cirrus SR 22, with and without turbo prop. In all cases, the manufacturer offers multiple attractive options to personalize each aircraft, so there are no two identical Cirrus. Owning a Cirrus means belonging to a select club of owners where your only obligation is to enjoy each flight. Soko Aviation will take care of the management and maintenance of the aircraft in its installations at Cuatro Vientos aerodrome. 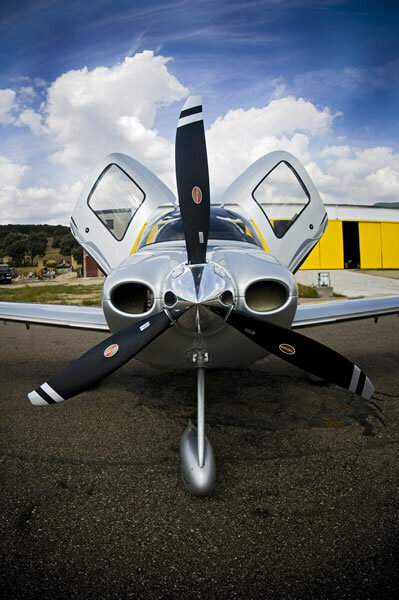 Your aircraft will always be ready so you will only need one telephone call to have it ready for flight, completely revised and fulfilling all the technical and legal requirements for take off. That is, we take care of refuelling your aircraft, we make a flight plan, we revise the screens, maps and navigators, we take care of the maintenance of the Aircraft, we manage the paperwork with Civil Aviation Authorities (permits and management), and we clean its exterior and interior. A pilot supervisor, if desired, can accompany the owner on board to make the flight more tranquil. 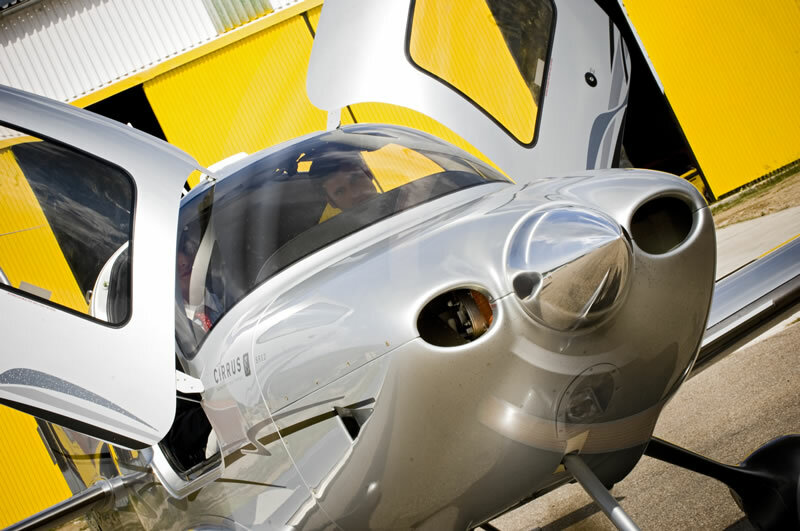 In its aviation school, Soko trains owners and clients who wish to learn to fly a Cirrus. 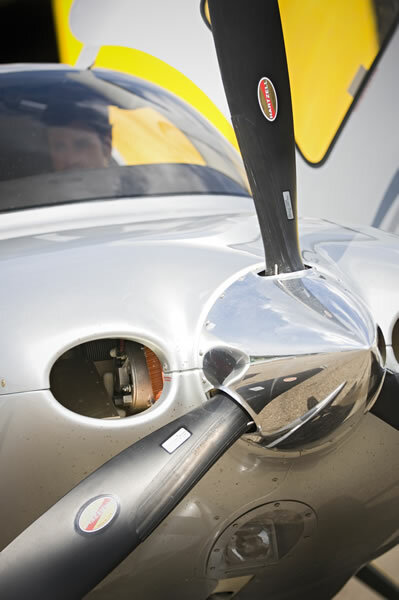 The owners of one of these aircraft have access to Transition Flights courses designed to adapt the knowledge of pilots to the specific characteristics of this light aircraft. Thus, with Cirrus you will enjoy the feeling of having your own wings, with no limitations. But if you do not have any previous training in aviation, do not worry. 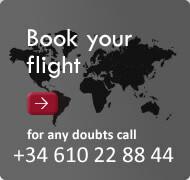 Our experienced instructors will help you to achieve the necessary qualifications to learn to fly. Historically one of the greatest challenges of the human being has been to dominate the only element that they have not been genetically programmed for: the air. For centuries, flying was an important challenge for our civilization. Nowadays flying is possible and it is no longer an unreachable dream, but a safe, fun and passionate activity that can become a profession for some. 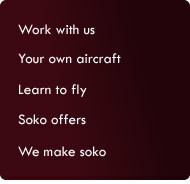 Soko Aviation gives necessary training for obtaining the title of Private Pilot (PPL, Private Pilot Licence). The course consists of two different blocks. On the one hand, there is the theoretical part: classes with our instructors are given at our offices at Cuatro Vientos aerodrome in Madrid, but we can adapt to our clients’ necessities. On the other hand there are practical courses: 45 hours of flight with an instructor all of which are on board of Cirrus SR20/SR22. This way our trainees are perfectly prepared to pass the exam by Spanish Civil Aviation that also consists of theoretical test and a flight with an examiner.